Ally Scraps: ALLYSCRAPS month long challenge has begun!! 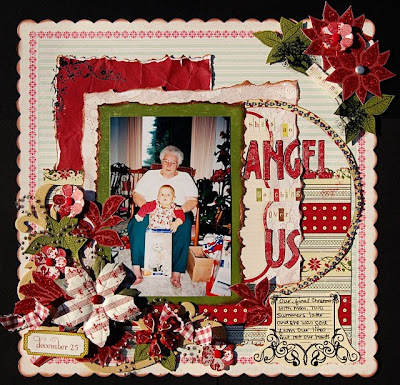 ALLYSCRAPS for a month filled with exciting challenges and games to earn points to become ALLYSCRAPS Next Top Scrapbooker!!!. And to celebrate the very first day of ANTS, I am posting the first challenge for you to do!! If I were going to be a model, I would want to do an advertisement for diamonds, glitz and loads of BLING! What Supermodel doesn’t love the bling?? So, for my first challenge, I want you to BLING IT ON!! 1. at least 2 different types of bling. The bling can be Glitz frosting, Prima bling, stickles, bling brads, anything sparkly and shiny and “Blingie”. If you complete my challenge and post it in the A.N.T.S. gallery and LINK IT BACK to this thread by Tuesday, October 28th at midnight Eastern Time you will recieve 100 POINTS towards becoming AllyScraps Next Top Scrapbooker! But wait, there's more... you can earn more points by doing EXTRA CREDIT assignments! The first one is for you to use a painting technique for which you can earn 10 BONUS Points. The second one is using MORE THAN two types of bling for which you can earn 10 MORE BONUS POINTS! Make sure to point out to us what types you’ve used!! Please note any bonus points earned from the challenge right in your linked post. You can do more than one layout for my challenge too... but you can only earn 10 points total for every additional layout (no bonus points) you finish and post in the A.N.T.S. gallery. Don't forget to LINK IT BACK to this thread by Tuesday, October 28th at midnight Eastern Time. And remember--One "winner" will be chosen by the Design Team for each challenge layout, and that person will be awarded an extra 25 points.... see there are SO many ways to earn points. Have FUN, get scrapping and keep an eye open for more challenges and games this week! My LO includes MORE than 2 "bling" accessories--can you figure out what I've included?? Come join us for this exciting month of games and challenges! Great layout and for me a tough challenge. I dont own all the supplies I really need for things like this. That layout really rocks!